ALTA is coming! Are you ready to witness the unveiling of the next level of nightlife in Taichung? 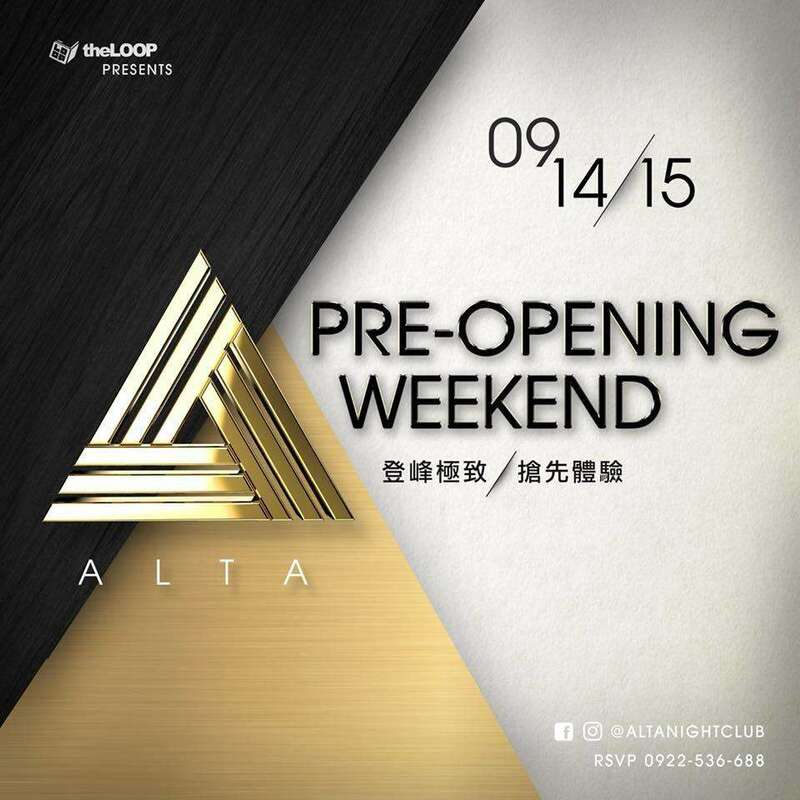 September 14, 15 will be the PRE-OPENING weekend of #ALTA. Don't miss out the only chance to be among the first to experience this premium nightlife experience! Don't forget to make the night even more memorable with a check-in on social media! Dress Code: Urban-glamourous. Elegantly dressed ladies enjoy free entry at door before 23:00.